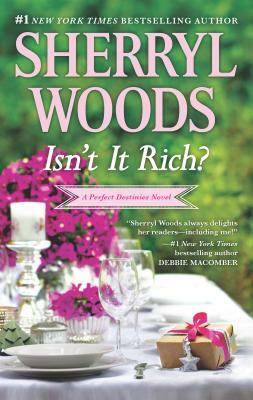 In this beloved novel, #1 New York Times bestselling author Sherryl Woods proves once again that sometimes family does know best. Straitlaced tycoon Richard Carlton suspects that his Aunt Destiny has more than business matters on her mind when she insists he meet klutzy PR executive Melanie Hart. Melanie might be brilliant--and beautiful--but Richard won't open his wounded heart to any woman, no matter how much she might make his pulse race. Yet when the press mistakenly reports that they're a couple, Richard convinces Melanie to pretend that they're engaged--to bolster his reputation and to teach his matchmaking aunt a lesson, once and for all. But is this relationship just a charade, or do opposites really attract--for keeps?